Getting tired of the same old theme parks and fancy something a bit different? Well, we might just have a decent suggestion for you. 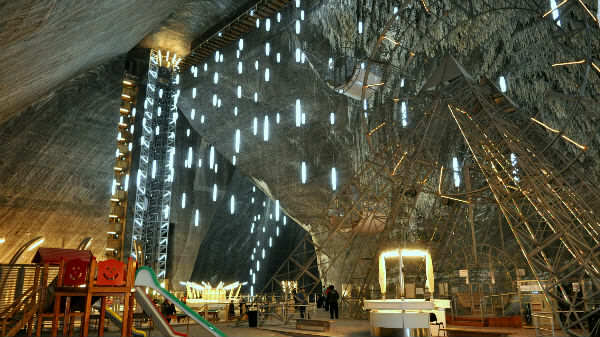 An insane new theme park has opened 400ft underground inside one of the oldest salt mines in the world. As these images show, it’s certainly not for the faint hearted. 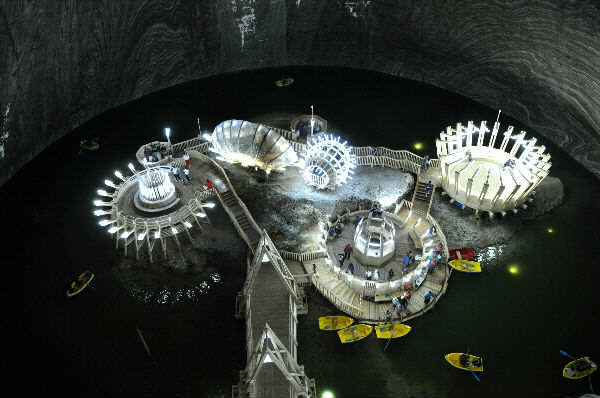 The subterranean Salina Turda in Turda, Romania normally features on lists of hidden wonders and it’s like stepping into an alien world. The site includes a Ferris wheel, boating lake, bowling alley, mini golf and an amphitheatre. 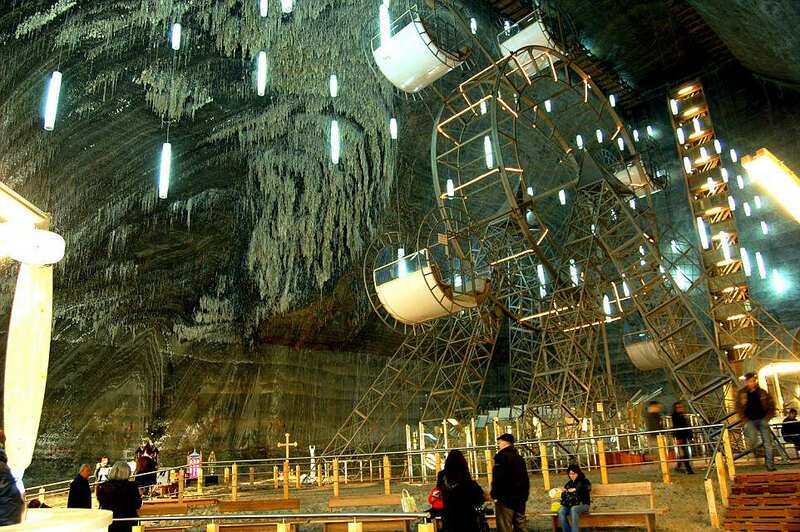 The underground world attracts around 600,000 visitors a year and it’s no wonder why. You have to access it all via a labyrinth of elevators and stairs, giving you a chance to savour the most spectacular surroundings. The salt mine is a unique tourist attraction, for it’s located deep underground. 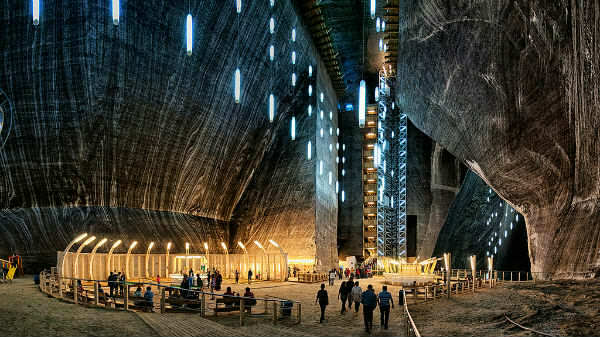 It’s interesting history and the fact that in just two years a common salt mine was totally converted into an underground world brings joy and fascination to many visitors every year. Since it was built, the salt mine has also been used for other purposes such as a cheese storage centre, an alternative medicine centre and a bomb shelter during World War II . They even claim that its microclimate offers health benefits to those who visit.